Tami Simon: This program is brought to you by SoundsTrue.com. At SoundsTrue.com, you can find hundreds of downloadable audio learning programs, plus books, music, videos, and online courses and events. We also host the annual Wake Up Festival, a five-day experience of transformation held in August of each year in the beautiful Rocky Mountains. You can also join our free direct-access membership program and read transcripts of all of the Insights at the Edge podcasts, and search our collection of podcasts with now more than a hundred episodes available. At SoundsTrue.com, we think of ourselves as a trusted partner on the spiritual journey offering diverse, in-depth, and life changing wisdom. SoundsTrue.com. Many voices, one journey. You’re listening to Insights at the Edge. Today I speak with Robert Augustus Masters. Robert Augustus Masters is an integral psychotherapist, relationship expert, and spiritual teacher whose work blends the psychological and physical with the spiritual, emphasizing embodiment, emotional literacy, and the development of relational maturity. He’s the author of 13 books, including Transformation Through Intimacy, and Spiritual Bypassing.Available through Sounds True, Robert has released the audio learning series, Knowing Your Shadow: Becoming Intimate with All That You Are, and a new book called Emotional Intimacy: A Comprehensive Guide for Connecting with the Power of Your Emotions. In this episode of Insights at the Edge, Robert and I spoke about what he calls “emotional literacy” and the lack of emotional literacy in our culture today. We talked about differences in cultural conditioning between men and women when it comes to expressing emotions; and we talked about the need to develop a toolkit to identify and work skillfully with anger. Robert and I also talked about his own experiences with fear, particularly related to working with the fear of death. Here’s my conversation in some very deep waters with Dr. Robert Augustus Masters. To begin with, Robert, I’d love to know what your understanding is of emotion—emotion in general. If you would, sort of, your thesis statement about what emotions are. Robert Augustus Masters: Well, emotion is a great big topic, like my book attests to. Because in emotion, we don’t just have feeling, we also have social factors, cognition, our conditioning all working together at the same time. So it’s quite a complex thing. I sometimes say emotion is the dramatization of feeling. It’s feeling given more context. At the same time, emotion is very, very simple. We all have emotions. We’re born with them. We develop them. They are with us for as long as we’re alive. They’re always there, even if they’re way in the background. Given that they’re such an essential part of our human makeup, I think it’s really important to not just experience them fully, but to know them really well—so that they don’t end up taking over. Because, in our language we often have metaphors that suggest that we are consumed by our emotions or that our emotions got the better us. All of these things imply that we are somehow the victims of them, whereas what I’ve found is that they are wonderful allies—even the so-called the darkest, dirtiest emotion is an ally if we approach it skillfully. TS:Now you said something very interesting—and I’ve heard people talk about emotions in terms of our feelings and that they have a physiological component—but now you’re bringing in that they have a cultural component? And you also mentioned a cognitive component? So help me understand this picture that you’re creating of what an emotion is and these different factors that make up emotion? RM: Well say there’s just a rush of anger you feel. You’re just driving along and in a split second you have a rush of rage. Someone has cut you off, you’re very tired, you have different reasons. That arises quicker than thought. It’s just a rush. It’s just a pure, biological portion of anger. A few moments later context kicks in—cognition. You have a thought about the person who cut you off in traffic, or the thought of perhaps that maybe they’re in a hurry to get to the hospital. In other words the mind comes in and that fleshes out this feeling more. And your conditioning also; if have an aversion to getting angry or you were in a household where anger was handled badly, and if you’re in a culture where the expression of anger is suppressed quite a bit, all of that is going to play a part in how you end up expressing it. In any emotional arising we need to take in to account: what’s my mind doing? To what extent is my conditioning playing in it? For example, if we get reactive with an emotion. What are the cultural pressures on me? Every culture tends to have facial display rules—like sometimes you’re not supposed to show a certain feeling. If you grow up with that, it becomes very hard to go against since it’s been engrained since we were very young. So all of this has to be taken into account when dealing with emotion. TS: That’s helpful. Now Robert, I know in this book, you’ve really laid out very systematically how people can identify what emotion they’re feeling at any given time. To begin with, I’d like to know a little bit more about how you came up with this cartography. RM: I came up with it when I took a really good look at how I had been working with people the last three decades and how I had been working with them emotionally, specifically. I saw this as a natural progression. Not that I always went step by step. I saw it as being a very useful thing to share with the world at large. These are steps towards deeper emotional health. TS: So in looking at how you’ve been working with people, you came up with all of the different emotional experience you’ve watched people encounter? RM: Oh yes. Yes. And just to take one emotion like fear. There’s so much to say about fear. It may not show that overtly in people, but it can be running their lives, and fear can come in many forms: anxiety, worry, angst, terror, panic, paranoia. As I teased it apart, it’s as if I became more intimate with that emotion. In myself too, I mean I was the laboratory for myself because I’ve been working on myself my whole life—since I was a young adult. So I got to see the value of turning toward a difficult emotion like fear. Not in a foolhardy way, but step by conscious step, getting to know it. Treating it not like a problematic “it,” but in a sense something that could become reclaimed by me. Because when I went close to my own fear, I almost always would see it personified, at a certain point, as younger versions of me which of course awakened my heart more. I felt more compassion. The more compassion I felt for that fearful me, the less afraid I was. If I could hold that fearfulness close to me, embrace it, and that caused an expansion in me. When the container of fear expands, we usually find ourselves not so afraid. We’re just a little more excited than afraid. So it came about from a very deep exploration of my fear, others’ fear—and not just throwing cookie-cutter diagnosis at it, but working with each one individually and seeing how one goes from saying they’re afraid to actually being OK with being afraid and actually turning that energy into an alliance, for one. RM: Well, it never can be fully definitive because many emotions theorists have their own lists. That’s the list that made the most the sense to me, with the surprise being the real lightweight to me. In fact, I was going to have a chapter on surprise in the book but I needed to shorten the book bit so the surprise chapter was one of the first victims. It was also the shortest chapter in the book because surprise, once it’s arisen, it passes. You can’t be surprised, and ten seconds later you’re still surprised—it’s gone so quickly. Disgust is an emotion that shows up very early in life. It shows up in infants when they reject food. The facial expression of the nose crinkling and the upper lip rising—you see that in any adult who’s feeling disgusted by a situation or another person. To me, I looked at it deep and I see this as a primary emotion. This is not an amalgam of other emotions. I think shame shows up very early. We can see shame in other mammals—like a cringing dog or a very young child who has not done a task the way it should have been done or they think it should have been done. The head hangs; there’s this familiar droop and sag of shame at a very early age before it even has much of a cognitive element. Whereas I think guilt comes later, contempt comes later—these compound emotions come later on. TS: Now, what do you make of the statement that you made that different emotional theorists come up with different core emotions? How is someone supposed to understand that? RM: I looked at the literature years ago pretty thoroughly and I was bewildered by the vast range of what were considered to be basic emotions or some said there were no such things as basic emotions—that emotions were simply a type of cognition. There’s such a wide range. I guess I would attribute it to each person’s experience of emotion or the theoretical understanding of it. For me, it’s all experiential—it’s what I’ve witnessed in the therapy chambers for decades. TS: OK, it seems that part of what your goal is in this book on emotional intimacy is helping people become literate, you could say—more fluent in knowing what they’re feeling in any given moment. And, I wonder if you could speak a little bit about why you think emotional literacy is so rare in our culture today. If you think it is. It seems to me that it is. RM: I think it is rare. It’s still rare. Which is surprising. One of the main reasons is that we don’t have an Emotional Literacy 101 in our school system. We still overvalue intellectual intelligence—and perhaps kinesthetic to some degree—but emotional intelligence, emotional literacy tends to be pushed in the background. You know, I’ve seen young children learn about emotions, learning about their anger, their fear, naming it. And it’s really helpful to be able to say, “Here’s fear; here’s anger; here’s shame.” That can be taught very early and not just in an intellectual way—it can be taught in an experiential way. But it’s not part of our system, because in our culture we devalue emotion. We tend to still associate being emotional with being female, being rational with being male. There’s a problem in that—a huge problem—because then emotion is treated as lesser, just like femaleness has been treated as lesser for a long period of history and still is in many ways. So, part of bringing emotion to the foreground is to honor it and say, “This is worth teaching; this is worth knowing.” And, in fact, any relationship I see—couples therapy where the couple is not doing well—there’s almost always, always an emotional difficulty. They don’t know enough about their various emotions. They don’t know when they’re being aggressive instead of angry. They don’t understand when they’re shaming the other person, even with good intentions. Once that’s exposed and known, relational intimacy deepens. TS: Now, tell me more. If you were suddenly in charge of the school system and were given the project to help young children develop emotional literacy, how would you handle such a project? What would you recommend? RM: I’d be so happy to start. I would gather around me people who are also emotionally literate and passionate about teaching, have the ability to convey it, and just implement some pilot programs where emotional literacy was taught. How to identify them; ways to express them; and in an age appropriate fashion. When you teach a six year old about anger, it’s very different than teaching a fifteen year old. But both can be taught. Most adults haven’t learned that—especially males, who have to learn the basics about emotion, sometimes at the ripe old age of 40 or 50 or 60. 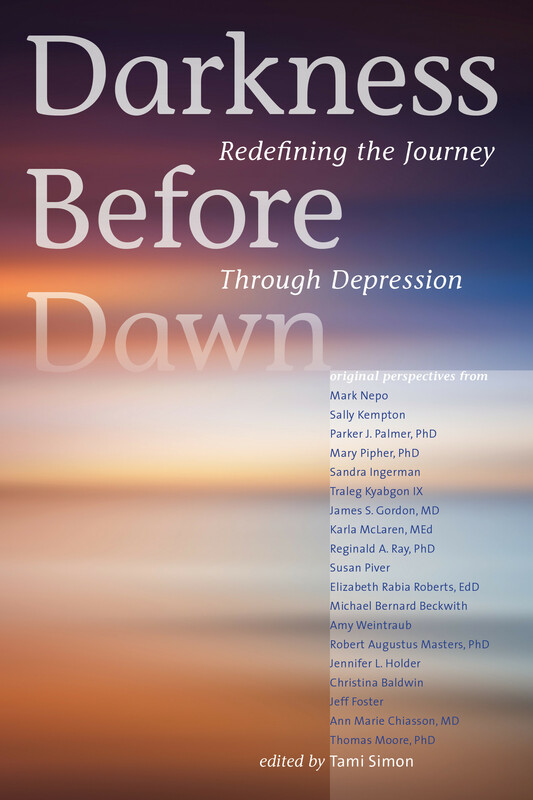 For example, I’ll often ask a man who is new to therapy what he’s feeling at a certain point and he will almost invariably look away, look up at the ceiling, and do anything rather than just say, “I’m feeling sad; I’m angry; I feel hurt.” Once he learns that he doesn’t have to do it that way—he can just simply be direct—he learns very quickly. I see men being just as capable of emotional literacy as women, but they’ve been conditioned even more than women to step back from it. I think it would be wonderful to have that implemented—to somehow have that come about. TS: And, even though it’s difficult, Robert, to make gender-sweeping statements, what would you say is distinct between men and women when it comes to developing emotional literacy? What are the distinct challenges, in general, if you took a broad brush to the topic? RM: So much of it is, of course, culturally conditioned. But, say, in our culture, we have less flattering labels for women’s anger than men’s. Anger, as a result of this, is less of a resource for many women as it is for men. In other words, it’s a more legitimate expression for men, in general, in our culture. And, anyone who is cut off from their anger is going to have more difficulty finding their power, protecting their boundaries. They’re going to have less resources at their fingertips. I think it’s important to differentiate the way males and females are taught about anger in our culture. So many little girls are directed away from that. So many little boys are encouraged to not only be with their anger but to let it mutate into aggressiveness and have that be OK. So, there’s a huge distinction. Then, with sadness, we have the opposite. Everyone needs to cry, everyone has sadness. Girls, of course, have more permission to go into that—boys less. I see, in therapy, when a man breaks down it’s usually more difficult for him to get to his tears, because there’s a layer of shame to go through. Women, easier. Of course, I’m being very general, but for a lot of men, it’s very hard. It’s not uncommon to see men who tell me that they haven’t cried for 20 years or 25 years. And, when they cry, it’s like a desert suddenly being flooded by this beautiful storm. It takes addressing the shame they have around crying and cutting through the conditioning that says they shouldn’t go there or they maybe can only cry a few manly tears—but no weeping, no sobbing, no full-out expression. 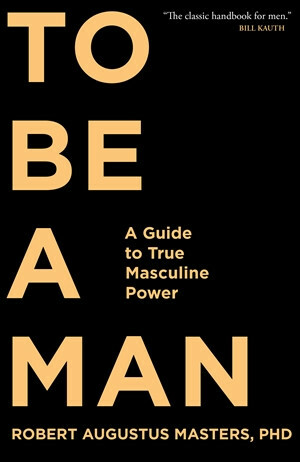 TS: So, if the piece of cultural conditioning were either taken away or if it was radically different, do you think that men and women—from what you know of our biology—that we are equally capable of a depth and nuanced sense of emotional literacy? RM: I think the depth is equal. That’s my strong sense. I think they have a more nuanced quality, I think women have a bit of an advantage. I mean, anatomically, there’s a thicker fiber network between the two halves of the brain, there’s more back and forth between women’s, so there’s more of a whole-brain response to emotional issues. Men tend to be more split. But again, this is something that can be overcome through practice. I think women have a bit of an advantage when it comes to verbal fluency in emotional contexts. I’ve seen many women, for example, finally tap into their anger in psychotherapeutic context and get more lucid, more clear instead of doing what the literature says they’ll be doing—which is they get more muddied when they get angry. The angrier they are, the more fluid the speech is, the more colorful, the more vital, the more nuanced, and the more vulnerable. Part of men’s difficulty here, of course, is that they are less vulnerable in their anger, so they tend to be less articulate in the expression—there’s less heart in it. RM: Well, it sounds like an oxymoron at first—vulnerable anger—but I’m sure we’ve all had experiences being with someone or perhaps ourselves and when we got angry, our tears were there at the same time. When someone’s vulnerable in their anger—if I’m angry at you and I’m vulnerable—it doesn’t mean I’m not going to be heated, I’m not going to be forceful, I’m not going to be emphatic. It means that I haven’t forgotten that I care about you as a human being. It’s not just intellectual. You can actually feel that Robert is actually caring about me even though he’s heated. It’s not easy to do this, but it is doable—to bring heart to one’s anger. There’s plenty of guts, there’s a lot of blood flow, there’s all the adrenaline—but to bring heart, to not forget the other is human, to not dehumanize them—I think women are far more capable of this than men. To bring their heart into their anger. But, I think men can learn it too, to where there’s a vulnerability, a transparency, and in that, it’s pretty hard to blame the other person or shame them and it’s really hard to get aggressive—almost impossible when you’re that vulnerable. Who wants to do damage to another person when you can actually feel their humanity? This is a kind of anger that is harder to access. You don’t have to have your heart fully open, but to have some degree of heart when you’re angry at someone else you care about makes it more likely they’ll hear you, let you in, have a healing dialogue. TS: Take an example where somebody feels trespassed by somebody in some way. Maybe somebody broke into my house and destroyed a lot of things and I’m really angry about it. You’re saying even in a moment like that, I could access . . .
RM: No, not unless you’re a saint, Tami. Sometimes we have to start right where we are. If that happened to me, I would be outraged. I wouldn’t be concerned about bringing my heart into it. I would not to make the damage worse, but I would be fully in my anger. And, maybe later on, I would start to feel some compassion for the other, but I would not pressure myself to feel that initially. Just like when you work with a couple that is letting their anger start to flow, we often give them permission to let it be a little messy at first, a little reactive. Then once it’s flowing, now I give them directions so they can start to make it cleaner—more heart, less blame, less shame. There is a time and a place to really rage—there really is. For example, in the middle of grief, someone’s just had a horrendous thing happen, someone died suddenly they were very close to—in the middle of their grief, their rage arises and I would not ask them to not do anything other than just go into the rage fully. Fully. Which breaks the heart open even more usually. TS: Now, in the beginning of our conversation, Robert, you talked about how all of our emotions can be seen as allies. And, you know, when it comes to anger, I think this is a topic that, within spiritual circles at least, is pretty controversial. I mean, “Anger is a destructive emotion,” “Anger causes harm,” and, “There’s no place for anger.” It sounds like you’re saying something quite different here. RM: I think the statements you just said are based on a deep misunderstanding of anger and I think for a lot of people doing that—especially in Buddhist circles—they’re confusing anger and aggression. And, of course, it’s made worse by the fact that a lot of Buddhist texts will translate “hostility,” “ill will,” “hatred,” and “anger” with the same word. I’m surprised I discovered that, but there’s a conflating of that. Anger doesn’t have to be aggressiveness. It does not have to be an attack or to do damage. When we see anger as synonymous with aggression or hostility or ill will, we’re right to label it negative, but the anger itself is not negative. What’s negative is what we’re doing with it. So, say, in hostility—hostility is very mean spirited, it’s implicated in a lot of heart disease—obviously not a healthy state to be in. But hostility is something we’re doing with anger. It’s a choice we’re making—however unconsciously we may think we’re involved in it, it is a choice. So, it’s not really anger’s “fault” that we have slipped into hostility; it’s what we’re doing. We’re allowing ourselves to channel it into hostility, and we don’t have to. Anger gets trashed in our culture a lot. TS: I want to make sure that people are clear on the distinction here, so help me understand what anger is in its sort-of clean-burning form, if you will. Then what this choice to be hostile, or the expression of aggression—how is that different? How are aggression and hostility different from clean anger? RM: Well, the first obvious sign is there’s no heart. No heart in the middle of it all. No vulnerability. The impetus is to attack and is also dehumanizing to the other. In healthy anger—it can be fully expressed, but it’s still healthy—we don’t dehumanize the other. We don’t put them down; we’re not trying to attack them. We’re more out to underline what we’re saying, emphatically. We can be really loud and we’re emphasizing something—we’re not there to bully or overpower the other. In aggressiveness, we are there to overpower the other or the situation. I can segue into shame here a little bit, because a lot of times when we feel shame, our quick “solution” is to get aggressive. It distracts us from our shame and the aggressiveness can go towards others or it can be turned back on us. And, of course, that fuels the inner critic, it fuels that internalized shame and self-putdown. I’ve seen many people—especially men—be shifted quite dramatically by just knowing the difference between anger and aggression. Having it shown to them. When they realize they’ve actually been aggressive to their children or their partner and they realize what it would be like to be angry instead, it makes quite a difference. TS: I wonder if you could give me a concrete example of someone getting angry and then understanding the difference between anger, aggression, and hostility. RM: Let me wing it here then. Let’s say a man is angry at his wife and he’s yelling at her and he’s telling her she’s no good at this and bad at that—so he’s shaming her, he’s putting her down. And, she’s quailing before him; she’s frightened of him. He’s not hitting her, but there’s a sense in his anger that he could actually get physical, because there’s that edge—there’s a dark edge to his voice, he’s leaning toward her a lot, his hands are in fists. If he was to wake up in the midst of that and the anger kept flowing, he might say he’s angry at something she’s done—he would address something she’s done—a behavior, and if he saw her pulling back, he would lower his intensity. He would be sensitive to how much she could take. He wouldn’t just assume, “Well, I’m angry, I’m showing my feelings. You want to see my feelings—here they are.” He wouldn’t play that game; he would be attuned to her. His anger would be in the service of their relationship. There’s a huge difference. In the first case, he doesn’t give a damn about the relationship, he just wants to be right and he’s pointing his finger quite aggressively. In the second case, he’s using the anger as a means of breaking through some emotional deadwood—some barrier to intimacy—and he’s only doing enough to get his point across. He’s not hammering her with it. And, he has space for her response. He’s still in relationship with her. In the first case—the aggressive one—he’s not in relationship with her. He’s lost touch with his caring for her completely. TS: And, aggression and hostility—are those different? RM: Yes, I think hostility is a form of aggressiveness. You take it further—you have outright violence. All of them are misuses of anger. Violence to me is not a result of anger; it’s a misuse of it. I think it’s time for us to stop blaming anger for this, because once you pathologize anger—and we all have anger, I’ve never met anyone who doesn’t have anger (though I’ve met some who’ve claimed not to have had it)—we cut ourselves off from a piece of our humanity. And then our anger becomes part of our shadow. If we’re really invested in looking like we’re not an angry person, we’re going to really make sure our anger stays really locked up tight in our shadow quarters. TS: Now, Robert, you talked about how, for women, getting in touch with their anger can release a lot of power—especially for women who haven’t been in touch with that anger. How would a woman, once again broadly speaking, or anyone who has been in denial of their anger—how can they work with it skillfully, so it becomes healthy anger? What would be the process? RM: Well, they have to be taught the different modes of expression. Sometimes, expressing anger is an important thing to do. Other times, expressing anger very strongly is important. Sometimes, it’s important to be able to sit mindfully with it in a meditative sense and just watch it circulate through the body. So, it’s important to kind of develop tools for it. So, when anger arises in us, we have a number of options we can go to and our intuitive sense of the situation will draw us to perhaps the most fitting one. This is after, of course, having learned the hard way what doesn’t work. So it’s like a reeducation. Here’s this intense state we call anger that we all have—how to work with it directly. Not to channel it into something else or avoid it, sublimate it—how to work with it. TS: And, once again, in terms of this task of developing emotional literacy, how would someone know, “Oh yes, this is anger. I know what anger is; this is it for sure. I can identify it.” What are the telltale signs? So, sometimes, people have to learn the initial signs. There’s an increased blood flow to the arms, the hands; there’s a sense of upper body inflation; the jaw tightens; the brow shifts. There’s a certain face that anger has. If we put our face in that position—that frown and the jaw jutting—sometimes we’ll feel a little rush of anger kicking in just by taking on the facial characteristics. So it’s important to know—here’s the signs. We tend to lean into the situation and the jaw especially shows it. One of the ways I have for working with anger when people have advanced to a certain point is doing some deep work with their jaw. There’s so much in there—so much that has been bitten back. Solar plexus—we contain a lot there. Shoulders get very tight. The hands want to do something—they want to ring a towel, pound on something, squeeze. I’m going a little astray here, but with anger expression, we have to find all of the ways that work for us. What works? Chopping wood; wringing a towel; going for a workout; or just sitting on the cushion and sitting with it for half an hour—they’re all worth learning. So, we have a lot in our toolkit when it comes to working with anger. If we don’t, we’re going to be run by our anger—correctly or incorrectly. RM: I would say, if possible, go to a suitably skilled psychotherapist and do some work on it in a safe environment. Many people are afraid of what will happen if they go into their rage fully. I’ve seen quite a few people—when their rage is kicking in fully, it mutates into joy. It’s an odd thing to see that. Because the passion is so full. It’s so powerful, so intense, it transcends the content at some point and mutates—not always into joy, but the person doesn’t stay balled up in anger, pounding pillows for hours. There’s a lot of movement. But that means learning to allow full expression, which is hard for many. Some are adept right away at doing full emotional expression—they can cry hard. They can be angry fully. They can shake with fear. Most of us have to learn to step from partial expression to full expression. Not that we should always express it fully. There’s a time and place where it’s appropriate to cry not just hard, but really hard. Say there’s been incredible grief or that something has really, really shocked you. The deep crying is very healing. If we haven’t gone to the core of our other emotions, it’s really hard to go to our sadness’ core. Another thing to factor in here is what I call the passions—rage, lust, ecstasy, grief. These are all states—of course emotionally based—that have the power to overwhelm us, for better or for worse. I think there’s a right time and place to let ourselves go into those. But implicit in that is a loss of control—so if that’s difficult for us, we have to work on our fear of losing control. Maybe a loss of control characterized our childhood in a very unpleasant way, so as an adult we decide, “I do not want to lose control; I will not lose full control. I’ll even be in control of my effort to lost control.” That has to be exposed and skillfully worked with in a non-shaming way, so the person can reach the point where they can let go of their usual control and see what happens. Invariably, they’re surprised at how good it feels to let all of this energy move through them unhindered. I’ve never seen it be destructive in 35 years of working with people. I’ve not seen it go into destructiveness—it goes into something much deeper and usually the person ends up in a naturally settled meditative state at the end of it. They feel so grounded; they feel so present and so alive. TS: How do we make sure—especially when we’re working with these so-called passions—that in our expression we’re not creating harm or difficulty for other people? So I have an impact, you have an impact, and we speak or share with another person. The more sensitive you are to that, the less likely you are to overwhelm or hurt another person with too much expression. That’s why it’s good to do it under some skilled guidance at first, so you don’t go too far. Of course, you see that she took what I said too literally. She did not hear the nuance in it or that there’s appropriateness to it. So I think as we open up more emotionally we have to become more responsible for the impact we have. If I’m angry at my partner, Diane, and she’s really tired I’m going shift my anger expression from what it would be if she was really well rested and ready. I will still let her know what’s going on—or maybe I won’t and just put it on hold and mention it in the morning. It’s about being sensitive to the other person and not forgetting them just because you’re cutting loose or expressing yourself. TS: Well, you know this sounds really good to me, but developing this level of sensitivity and attunement to other people—I think that’s quite hard for a lot of people. RM: You’re right. That’s why so few relationships really work well, because it is very difficult and it asks a lot of us. The irony is that an intimate relationship allows all of this to surface if both partners have an equivalent maturity and a passion for going to the heart of the matter. But it is difficult. You can’t just do a few practices from a book you’ve picked up and suddenly you have that. It requires a willingness to really look at oneself and to let self-exploration not be a weekend pursuit, but something that you do through your life. It goes deeper, and deeper, and deeper. I’ve done this for a long time. I have an unusually close bond with wife, Diane—but we keep going deeper and deeper. The love doesn’t have any bottom because we are both committed to kind of a radical transparency. The more we do it, the easier it gets. TS: I think the word that I’m cluing in to is your use of the word “maturity.” That it takes such a maturity to be feeling what one is feeling and tuning into the other person and knowing how much to say, how much not to say; is this the right time? Being able to track all of that at once, that’s the part that . . .
Part of what it takes is patience and spiritual stamina, because you can’t expect to suddenly jump into that place of maturity right away. Still, if there are steps toward it—because I think it’s important to clarify the steps toward it and to go at the pace that works for you. If you go too fast, you won’t digest what has just happened. You’ll be too ambitious. And life sure gives us lessons along the way. Often we think we’ve arrived at a certain point and life brings us to our knees and go, “Oh my God! I didn’t really deal with that,” or, “There’s more to go.” I mean, when I was younger I thought all I had to do was transcend a bunch of stuff for myself. This is way back in the 70s and early 80s and I had all of these incredible state experiences and blissfulness and consciousness and sleep. All kinds of things that made my spiritual resume quite big—a real heavy tome—but I still was the same person day to day in my relationships. I still manifested the same reactivity—the same small-mindedness. It was all there. That was a huge shift for me and implicit in that was that I had to learn how to turn toward my pain, which I was a master at bypassing, getting away from, and working with partially. Then I found that the more I turned toward it, the more fluid and graceful and vital my life became. TS: Now you said something very interesting here, Robert, that I want to go into a little bit. I have met very many spiritual teachers who are quite gifted at introducing people to expanded states of consciousness. Sitting in boundless being for hours upon hours. But they don’t seem very gifted in the relational or the emotional realm when it comes to how they interact with other people or the way their organizations are run, or things like that. It’s curious to me to see that there doesn’t seem to be a carryover from the immersion in these deep states of spiritual realization to emotional literacy. How do you understand that gap? RM: First of all, I think those are states and people get enamored at the states. If the teacher is really adept at it, the students get kind of hooked on it—they get high on it—but whatever is in the shadows tends to stay there. I say well here are the shadows. We have to work on your shadow. We’ve got to go into those places of your conditioning that you’re trying to get away from. You use those spiritual practices not to illuminate and see your full self, but to get away from places in yourself that were really unpleasant or dark or otherwise disowned. I think there’s a deeper awakening when we are fully embodied in it, so I’m preaching to the choir. I think the embodied approach is so, so important and I would say the relational part is crucial. So I would say that my work in basic terms is equally honoring the personal, interpersonal, and transpersonal—or personal, relational, spiritual. We tend to bypass the relational element like it doesn’t matter. Everything exists in relationships, so to me it’s crucial that we include it and not just in an intellectual way. And to do that we have to get into our personal stuff—we have to do what some teachers decry as, “Aw, it’s just your story.” We have to know our history intimately. We have to connect the dots between past and present so that we are no longer victims of our conditioning or transcenders of it—apparent transcenders of it. So I see a lot of what you just described. When you asked me the question, I see it all over the place. Now, of course, I work with many people who are in that zone, teacher and student alike. It’s like—we can float above it for a long time, avoid it, but sooner or later, life calls us back to face all of the stuff we’ve pushed aside or tried to get away from. TS: Now I love these three . . .
RM: But I’m saying that it’s a lot less popular. I’m saying to turn toward that dark and unpleasant stuff. It’s not glamorous. It’s not romantic. It doesn’t mean a painless week and then you’re enlightened. But in my experience it’s more growthful because you’re on track, you’re not turning away from stuff. TS: Now I love these three dimensions: personal, interpersonal, and transpersonal. I wonder if you could just talk a little bit about each and how you would see somebody working in all three dimensions? Would you see somebody equally paying attention to all three or it depends on . . . ? RM: It depends, but I work with all three because when I’m working with someone who is in severe trauma, I don’t bring it in right away—but at a certain point the transpersonal comes in, because that’s the way it creates a container to hold it. Within that container, it’s like a sanctuary. It’s also relational. That person is in relationship with me, with Diane, and also with their own wounded elements. The more I know their story—the more I know the details of what happened when they were little or around their birth—the more I can connect it to why they do the things that they do now. It’s usually quite a quick process. It doesn’t require years of psychoanalysis to connect the dots. When it all works together, there’s a joy. I’ve had many people have spiritual breakthroughs of knowing who and what they were. They awakened to their non-dual nature—and even beyond—through going through their emotions right to the core and awakening something deep, deep in the body. I hate seeing the body treated as an “it.” It’s kind of like this is an impediment and people say the emotional or the body. There’s such a kind of perhaps an unwitting distancing from the body. I think it’s important to really reclaim our body right down to our toes. Really paying attention to the body, including emotionally. Then we ground our awakening. So if I go into a very, very deep state in sleep or dreams or awake, I’ve learned that I like to be grounded in it. I love the expansion, but to be grounded feels so good. It means I’m functional. I can be in that state and still work with people or pick up groceries or drive a car skillfully. There’s no spacing out. Again, it’s not as glamorous as just going into exalted states and Nirvikalpa samādhi and all of these . . . I think that’s very problematic. People get so attached to that and enamored at teachings that basically overemphasize that. TS: OK, so the transpersonal dimension is this boundless sense of being—you could say non-dual—and the role that that can have in holding all of our experience. You’ve also been talking . . .
RM: Yes, it’s like in the training I just did last week. I mean there was a lot of that happening. When it would happen, I’d just have everyone sit still and we’d just bask in it. Other times I just keep plugging away, doing the deep-trench work. There was a feeling—such a lovely sense of presence to that—of sentient awareness and the mystery of it. When I open to it myself, deeply, I end up face to face with pure Mystery and I am that at the same time. At that point speech stops, my words come to a halt, and just resting in that. Some time passes and if I’m with others then more work happens. It becomes even easier and more natural to work with some old wounding or whatever is in the way. So none of the stuff that’s going on in a person needs to be seen as lower or mundane. It’s all worth paying really close attention to. TS: OK, I’m just going to keep on unpacking this to make sure I’m following you. So the transpersonal dimension—and the interpersonal dimension is obviously what you’re talking about with you and your partner, working with other people . . . ? RM: You have to realize, Tami, that everything exists through relationship. I mean everything is in relationship to something else. It’s part of the fabric of our being, so I think part of our work is to reach the point where we stop avoiding relationship. It’s all tied together. It’s all interconnected. Once we get that in our bones, part of the beauty of getting that is that we realize that what we do to another being, we do to ourselves. Instead of trying to be altruistic or trying to be caring about things that are going on in the world that are really terrible, we start to feel ourselves as the other and we get to our core that what I do to you, I do to me. That makes me treat you with much more care. TS: And then, what do you mean then by the personal dimension? RM: That which is uniquely associated with you as a formation of your egoity, your personality, your conditioning. A lot of it is the conditioning. We all have conditioning from our early lives—no matter how happy our childhood was, there it is—and if we don’t see it for what it is it will tend to run us, however subtly. I honor the personal. When I sit down with someone new, or when I used to (because I don’t work that way very much anymore because I’m retiring from that), I want to know their story. I’m really interested—not in the dramatics—but in what happened. It always ties together with how they’re operating now—with the habits they have, how they treat partners and friends, their children. It all fits. It doesn’t excuse it. It just explains it. Once they see the connections, then they’re more open to doing deep work. So that’s the personal. I love stories. I think it does a disservice to most people to say to them that this is your story and just drop it because you don’t really need that. You know what? Without that you’re a partial human being. You could be seemingly enlightened, but your enlightenment is partial. Part of you has been left behind. It’s like teachers that have run astray like Rajnish or Adi Da. My intuition is that there were major pieces for each of them that were left in the shadows and not touched because they were so outshined by their spiritual capacities. I think those are warnings to all of us. You know? Develop your full self. Develop all of your ways of intelligence: emotional, kinesthetic, interpersonal, intellectual. Develop all of it and bring an integral approach to it. Treat it all as worthy of your attention and your love. All of it. 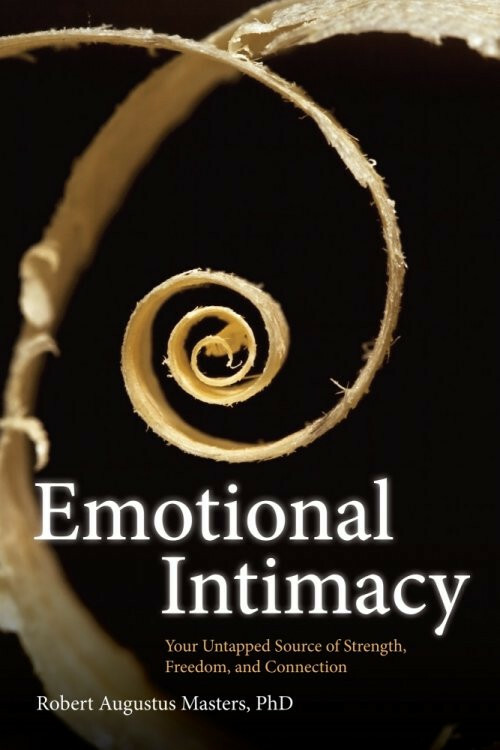 TS: Now, in talking about this personal dimension and our individual conditioning, one of the points you address in your book on emotional intimacy is the pre-verbal origins of much of our emotional response. I wonder if you could speak some to that. That pre-verbal origin of how we’re responding emotionally in situations. RM: Often, things happen to us that were very significant when we either weren’t speaking or our speech was very, very limited—like when we’re maybe two years old, something like that. Events at that time actually make a real difference. Someone may have been in a very serious accident or beaten by a parent. There’s a whole long list of things can happen and that kind of resets the nervous system. To get to those dimensions, I can’t just sit and chat with someone. I have to actually work with them emotionally because their memory can be kind of faulty going back that far—but emotional memory begins at birth. The part of the brain that deals with emotional memory is fully formed at birth. For example, I don’t see my birth but I remember it and I’ve checked out the details and my mother confirmed everything. But the memory was emotional. So in pre-verbal work, you’re working the emotions and also with the body to help someone perhaps untangle some connections that were made because they were overwhelmed at a certain point or they had a very difficult birth or their mother left them to scream every night and never came to get them. The list goes on and on and on. I’ve seen the evidence of it in so many sessions—so much work with people that I know it’s very, very important to include that in our self-work. Even though it’s hard to retrieve that. It’s hard to retrieve the details. TS: Now, why do you say that our pre-verbal memories begin at birth—what about before birth, while we were in the womb? RM: It goes back before birth too. I should’ve added that. I mean not in the first trimester (I don’t think), but after that the nervous system is developing. There’s evidence that the baby in utero can hear, certainly feel, certainly pick up what the mother is going through and they can probably attune to the external environment—whatever music is on, whatever voices are being displayed loudly. It’s all there and we’re so sensitive then. There’s so much. RM: Now, particularly when it comes to an emotion like fear it seems that there could be some serious pre-verbal origins to our fear . . .
TS: I’ve seen that in many people. Many people. With the fear, seemingly, it wasn’t just from being bullied at school or having a harsh parent—but often you go back even earlier to where they were left in a situation where their fear kicked in and there was no relief from it. So then their solution to the fear, for example, might have been to shut down their system—which is not a volitional decision, it’s an organismic decision. The system is in danger—shut it down. It’s like having the cord wrapped around the neck too tightly in the womb, as one is emerging from the womb, the systems shuts down to survive, but the trouble is that later in life we may revert to that when we’re in challenging situations without knowing that we’re doing it. Suddenly, we’re in a difficult, challenging situation with a partner or friend and we shut down emotionally. We disappear. We dissociate. To a large degree because that’s what we did to survive when we were very little. When that’s all exposed and brought into the open, it doesn’t have to be our life sentence. It can be worked through. TS: OK, but when that’s all exposed—I mean most of the time, it’s not exposed. How does that become exposed? RM: It becomes exposed when someone is really troubled by a behavior they keep manifesting again and again and again. They go in for skilled help and hopefully the therapist or guide will uncover that through skillful conversation, body work, emotional work, gestalt. Whatever it takes, they’ll uncover that early history. Then the dots are connected intellectually at first, and then emotionally and physically until it makes sense. Part of the answer here is to find out what had to be suppressed at that time. For example, a little boy who’s really terrified of this father from early on. He’s got a lot of fear and he’s also got a lot of anger, but the anger has to be suppressed. So the anger mutates into fear at that age and the anger remains in the shadows. Part of the work with a man like that is to get them in touch with that early rage, which can’t be done right away but can be done for sure. Once he does express what had to be suppressed, there’s an increased freedom. He now has more power. Some of the biochemistry of fear now becomes the biochemistry of anger and he’s able to move. He’s mobilized. What was immobilized then becomes mobilized. TS: I guess to ask my question in a different way: Do you think that therapy is THE way to access and bring forward these pre-verbal, conditioned responses that we have or is there is some other way that people could get at this material? RM: Well, I think people get at this material in other ways. Sometimes, they at least get started through intense spiritual practice, shamanic rituals. Things can bring it up. A lot of therapy is not equipped to deal with it. I mean it’s not like every therapist can do this. It takes a lot of skill and maturity for a therapist and they have to have done that for themselves, too. To go in there and be with a person and create enough safety for that to emerge, because in those states one does not usually feel very safe. If a therapist is tentative or hesitant, the person is probably going to shut down and not want to go there. So I think it can open up in many ways. I’ve had many clients who got blown open in this way during long meditation retreats, in which the teachers there didn’t know how to deal with it but it was open, it was there, and they can feel it as pre-verbal. They’re overwhelmed by it; it’s terrifying; it might classify as a spiritual emergency sometimes—but it’s opened. It can happen in a lot of different situations but I think the ideal environment for me combines really skilled, body-centered, emotionally literate psychotherapy and a knowledge of spiritual realms—an ability to be open spiritually. That’s the ideal. The person is being held in that environment and healing can occur. But see, implicit in this is, “Does the person even want to go there?” Many people would have chosen not to go there and just adapt to that old wounding—act like it’s their real self and just go through their lives without ever having resolved the original wounding. TS: Now Robert, you call fear “the dragon.” The section in the book is called, “Meeting the Dragon.” Why do you talk about fear as a dragon? RM: Because it seems kind of big to a lot of people. You can kind of sense the fangs, the smell of it. It’s something that we tend to have an aversion to. I like the dragon image because in the myth of the dragons, there’s usually a treasure to be had. You can’t get the treasure unless you get past the dragon. You face the dragon—do battle with, whatever—but you have to meet the dragon. You can’t just seduce it or chat with it politely. You have to actually approach it, which is an act of great courage. I think, for a lot of us, when we stay distant from our fear it seems bigger than it really is. The dragon is a good symbol of that—like our fear becomes enlarged through our aversion to it. When I approach my fear closely, what I usually come across is not something fearsome. I come across an earlier version of myself quite often that’s really, really distraught and shaky. What I’ve learned is to approach that with great love and compassion and simultaneously embrace that younger version of me and protect him. Then when I do that, I’m quite capable of stepping forward, taking strong action, and doing whatever is needed. I’m not expecting that frightened part of me to step up to the plate, drive the car, do the body work, do whatever—do the interview even—do whatever. And I see when people approach their fear that way, there’s a sense of instead of trying to get away from their fearful places in them—the frightened child in them and all of that—when they approach that, it’s beautiful. Their heart opens spontaneously. The tears often come. There’s a sense of embracing this fragile place in us that is still really vulnerable, hasn’t learned to be an adult, doesn’t have any armor, and is basically emotionally naked and fully deserving of love and our care—even though we may be embarrassed a little to approach it. I think that’s part of the healing. TS: Now that step of holding that younger part of us in a loving embrace—how do we generate that kind of pattern inside of ourselves where that’s our response instead some other kind of response? Of course, I’ll take more time doing this. I’ll be more skillful than this. Many people have an easy time feeling great care for someone else when they’re hurting, but when it comes to themselves and their own wounded elements they tend to treat those with some aversion. TS: You know what I’m reflecting on, Robert, as I’m listening to you is how in my own life I’ve had the benefit of working for many years with a skilled psychotherapist who I think has been able to create a safe environment that’s helped me go into a lot of this difficult material. And I hear you saying how, first of all, many therapists don’t even have the ability—they don’t have the kind of depth, and they don’t have the kind of training or personal experience to offer that to people. How many people aren’t interested in it. What I feel though is some sense that the kind of psychotherapy that I’ve been privileged to receive is not readily available to people and I notice that there’s a longing in me that I wish that it was more readily available. RM: I share the same longing and that’s part of the reason that—at my advanced age—I just feel this huge passion to train other people to do the work that I can only probably do another four or five years. So many people ask me if I can work with them and I have to say that I can’t do it. I’m too booked. But thank God I have people now that I’ve trained, and whom I trust. I refer you to this person and that person. We’ve done enough sessions with them. Maybe I’ll work with you and maybe not, but at least that’s available. But I do feel a certain sadness that a lot of this is not available. Because I’ve seen many people who have been damaged through their therapy experiences, so they’re very hesitant to start up again. And you have obviously had some very skilled, caring help, which make a huge difference. To be with someone who can hold the container and yet also put you in the crucible at the right time and challenge you in a way that has a lot of heart. That’s not common but at least it’s there and I would love to see more of it and that’s partially why I think I wrote the book on emotional intimacy and did the program, Knowing Your Shadow. It was so that I could spread out what I’ve learned in a way that’s not as deep as doing the in-person work, but it’s certainly better than doing nothing. It introduces people, and those that are really curious or eager will probably take it further. They’ll jump in deeper. TS: One of the questions I’ve been asking is: Is there a way to further create access and affordability for the kind of depth transformation that we’re talking about here and I’d be curious to know what you think about that, what your thoughts are? RM: I think you can, up to a point, through teleseminars, books, the stuff that you’re doing at Sounds True. I think that’s up to a certain point, but there’s a threshold past that—and of course only a certain percentage of people want to go past that for a number of reasons. It’s important to say, “Here it is if you want to take it deeper; here’s where you can go.” If not, it’s great that you started the process. I don’t know if we can do much more than that. I know I used to work with 50 people in a group. Now we do weeklong groups. I’ve cut the number even from 12 to 10, so everyone gets even more quality attention. I can work with each person two, three, or four times in that week. All of the group dynamics—it fits. Diane and I used to do couples’ groups and then we stopped because we realized that couples would get more value for their money if they came to us for individual intensives. The couple just sat with us for four or five hours in a week, instead of spending all of that money for a weekend group with us with a bunch of other couples. But again, there’s only so many people that can be reached in that really deep way. I still think that it’s really important to make the beginning levels of it very accessible, like you are at Sounds True. I think it’s so important. TS: Now, Robert, I just have one final question for this first part of our conversation together, which is we’ve talked some about fear and how fear can be like a dragon. I know that in your own life you’ve been dealing with some health challenges that some people might feel quite fearful working with. I’d be curious to know how you’ve personally dealt with fear and particularly with the fear of death? RM: Well the short answer is by getting very, very close to the fear. Really, really close. Of course, I was diagnosed with prostate cancer—and it was a pretty malignant level of cancer, too—in 2008. I was really scared at first and so was Diane. We were crying and really scared and didn’t know where to turn because I had a gut sense I did not want radiation. I did not want surgery. I just knew it—but I didn’t know where else to turn. So I dropped my private practice with individual sessions and couples for almost a year—which was a big blow to our income but I had to do it. I got very still. I got to meet my fear very up close and I felt even more—I had experiences when I was younger with death that were very powerful and overwhelming, perhaps even more than the cancer. I learned to make peace with it—at the same time taking good care of it, meditating more, working out more, and just softening and softening because I had been very driven. Very successful and very driven. Since then, I’ve gotten busy again. I recently took two months off in Mexico. Just sitting with the cancer, swimming, meditating, no work—and got even softer and softer. It feels really good, because I feel pretty strong on myself. But the softness is so welcome and every time I remember the cancer it takes me in there. I don’t know if it’s going to kill me or not, but I’m kind of at peace with it. Also, the sense of being so close to death has made Diane and me—we were very close before—even closer. We’re both very aware of our mortality and I’m aware of death a number of times during the day and I feel an intimacy with it. It’s not like I want to die tomorrow. I’d be pissed off if I died tomorrow, but I feel not just closer to death but closer to life at the same time. The closer I am to death, the closer I am to life. I’m grateful for that. I hope my cancer lets me live another 20 years or more, but it might not, so life is much more precious when I’m this close to the edge. TS: So this idea that you sometimes hear about in spiritual circles that one can become “fearless. It sounds like your approach is something different? RM: It is. I don’t feel fearless, but I don’t have a problematic orientation to fear. So, when fear arises, I recognize that it’s fear, and I relate to it and very quickly I feel myself expanding and when I expand, then fear is excitement—it’s vitality, it’s life energy and it’s not a problem. So I don’t mind when fear kicks in. I’ve had times in my life when I was younger where I had extreme terror, unrelenting. So I’ve had to sit with very deep fear a lot of my life. I didn’t want to, but it forced me to get intimate with it. There was nothing else I could do after a while. Nothing else I could do. And the cancer just amplified that. To this point, the cancer is not interfering in my life. I mean I don’t know if it’s healing or not—I don’t want to have another biopsy to find out, but the blood work that I’m having indicates that I’m pretty healthy. I’m happier, I’m softer, and I don’t know what else to say. It just opens me to the mystery more and more deeply. TS: And for somebody to fully understand what you’re saying when you say you become intimate with it when it’s there—so the fear arises and you’re becoming intimate. What does that mean you’re doing? RM: It means I turn toward the fear. I take my tension into it. The bodily sensations. I’m aware of how I’m breathing with it and I also start to sense the depths of it—its mental component. So in other words, I get close enough to it where I can see its mind, its bodily components, its energetic manifestations and conflagrations, and all of that. The closer I get to it, the less afraid I am. I’ve said elsewhere, when we remain outside our fear we’re actually trapped in it because we haven’t explored it. We haven’t seen it. It’s like a contracted fist. When you relax the hand, suddenly the fist is gone. There’s an open hand, there’s excitement, there’s life energy. You contract it again and there’s fear. When somebody’s fear is functional, it’s adaptive—other times it’s maladaptive—but I’ve learned the hard way, I guess, to not make a problem out of fear. When it arises I don’t see it as a sign that I’m not evolving. All of my emotions are still here. I still get angry, feel shame, cry. It’s all there and I don’t mind it. When I was younger, I thought that I shouldn’t have some of this stuff going on but it’s part of my humanity. I find it makes people who work with me have a much easier time with me because they can sense that I’m right there with them. I’m not just a distant teacher. I’m connected with them emotionally, physically, emotionally, there’s a plugging in. TS: I’ve been speaking with Robert Augustus Masters and this is part one of our conversation on emotional intimacy. Robert has written a new book published by Sounds True called, Emotional Intimacy: A Comprehensive Guide for Connecting with the Power of Your Emotions. He also has a new audio series with Sounds True called, Knowing Your Shadow: Becoming Intimate with All That You Are. Robert, thank you so much for the genuine conversation. I really appreciate it.